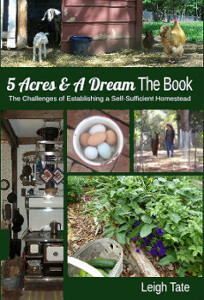 5 Acres & A Dream: Giveaway: Celebrating Over 500 Copies Sold! 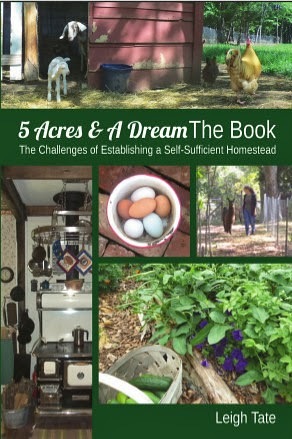 When I checked sales for 5 Acres & A Dream The Book on Thursday, I was excited to discover that in just a little over three months I'd topped over 500 copies sold! Considering that most self-published books average less than 200 copies sold over their lifetime, this is exciting news indeed. I'm celebrating with another book giveaway! The giveaway is open to anyone, anywhere. Even if you've already purchased it you can enter to win a copy to gift a family member, friend, or to donate to your public library. You can even get extra entries! Blog about the giveaway with a link to this post for 3 entries. Promote the giveaway on any social media for 1 entry each. If you've written a review on either Amazon or your own blog or website, you can have an additional 3 entries. (Click here to read some of those reviews). Then leave a comment here with a link to your entry. On Sunday, March 16, I'll have a random drawing and announce the winner! Hi Leigh that is a great achievement well done. I have posted about your giveaway and I wish you continued success with your book. I am sure that there are many things that would apply regardless of where in the world you live. That is fantastic news, Leigh! Congratulations! I'm so pleased to read of your most recent milestone. Congratulations & continued success! Congratulations! What an exciting time for you. Hot Damn, Girl! It's really a great read, Leigh, you've done a wonderful job! If I win, will be glad to do a review for it and then share on fb. Also, thank you for being a subscriber on my little blog. Congratulations ! Can't do a review as my book hasn't arrived yet! 500 copies sold already! What a feather in your cap, Leigh. Congratulations! And thanks for the lovely offer of a giveaway of a copy. I just did a post on my blog (www.ahomegrownjournal.blogspot.com) telling everyone to get on over here to sign up for the giveaway! If I win a copy I'll donate it to our local library. Congratulations!!! Please enter me in for the giveaway. Congratulations that's quite a successful sales number for 3 months time. I haven't responded to comments but very much appreciate the kind thoughts and entries! I also posted on Facebook and twitter. I don't know how to share those links so it's ok if they don't count. Your blog has meant a lot to me these last few years. I have learned so much from you. I thank you so much for your vocation, because I truly believe what you are doing is a calling. That's a huge milestone! Congrats on all your hard work paying off (not that I'm surprised). Hoping to win, I posted on Facebook at javagonzo@sbcglobal.net. Sorry don't know how to do a link. :-). We have a dream as well and so do our children, so we'd love any insight! That's encouraging! 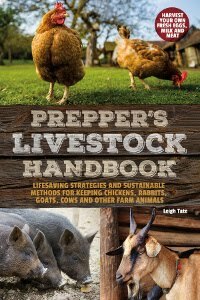 I too would like to write a book on my homesteading experience. I've left it with only a few days to spare, but I've blogged about it. I wrote it in my post, but will repeat it here. I respect the fact you self-published and are using the social network community to spread the word about your book. It invites people to take part (if they wish) and doesn't bamboozle them with advertising while visiting other websites. I'm not against advertising, I just suggest it takes a bit of bravery to ask the target audience to spread the word and not just go the other route. Just popping in to thank everyone for their congratulations and entries. I've been trying to return blog visits but can't find blogs for all of you! Michelle, I was delighted to hear from you the other day and humbled that you were willing to read through all those posts to catch up. When I took my domain name off Google it was lost to feed readers. I had another email the same day as yours, and she had discovered the same thing. I'm just grateful to continue my internet relationships with so many wonderful folks. Chris, I confess I'm quite put off with advertising. Even though we could use the money I've refused to "monetize" my blog and allow google to scatter ads everywhere. To me, ads somehow cheapen the content of the blog or website because of the ethics (or lack of) of the advertisers. It seems more folks nowadays rely on customer reviews to make decisions, including me. The product should sink or swim on its own merit rather than being propped up with advertising claims. Still, folks need to know about something in order to buy it and there's the rub. The word has to be gotten out one way or another. I confess being self-promoting isn't in my nature, but it is in my nature to want to share information and encourage others. That was pretty much the motive for writing the book and why I priced it on the lower side compared to other books. I confess I've been extremely encouraged by the reviews it's received! And amazed with the sales! Granted it's a niche book and I never expected best seller status or a fortune in sales. It does, however, make me feel like our homesteading journey with all its bumps in the road has been worth it. Whoa, I really went off the deep end on that one! Sorry about that, but your kind comment really struck a chord. The bottom line is thank you for your help! Its wonderful to know that your book is reaching higher sales. (Michelle from Boulderneigh sent me) and posted both on my farm facebook page and my personal one. Thank you once again, to everyone who entered and helped spread the word!